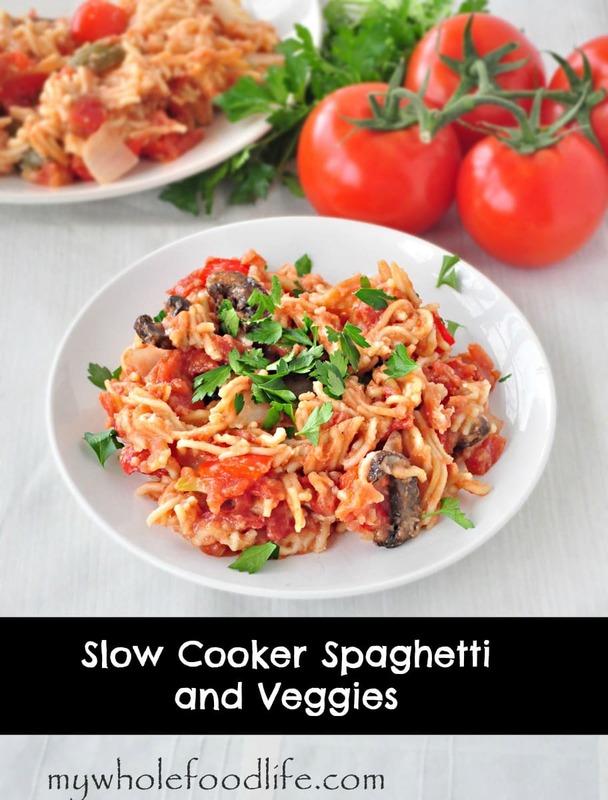 Crock Pot Spaghetti & Vegetables. I have been trying to come up with more crock pot recipes lately. This crock pot spaghetti recipe was actually my husband’s idea. I love this crock pot recipe because it is a one pot meal making cleanup a snap. Not to mention it’s super easy! Slow cooking this allows for more of the flavors to develop as well. This is an inexpensive meal that is very filling and makes a a lot. 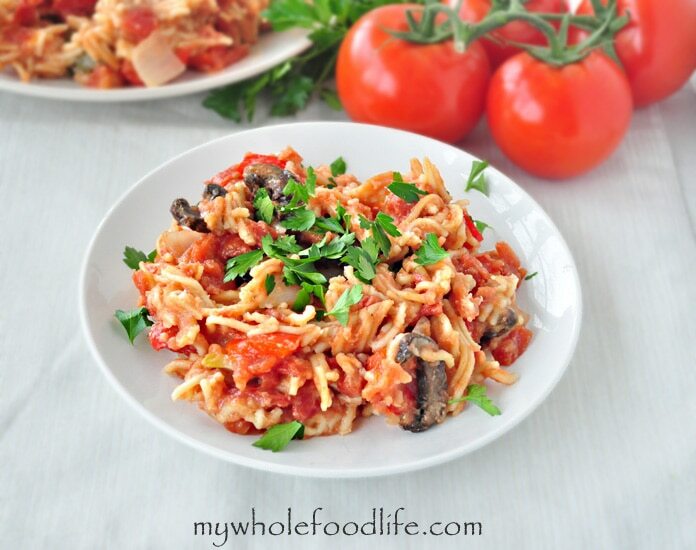 I kept mine gluten free by using brown rice spaghetti, but you can use any pasta you like. UPDATE: After some feedback, I have altered this recipe a bit. It now calls to add the spaghetti when there is only 20 minutes left in the cooking process. A super easy one pot meal! Put everything except the basil and parsley and pasta in the slow cooker and cook on low for about 1/2 an hour. Then turn to high for another 1 1/2 hours or until the onions start to soften. Add in the pasta when there is about 20 minutes of cooking time left. Add the basil and parsley about 5 minutes before the spaghetti is done. If the sauce seems a little thin to you, you can add some arrowroot or non GMO cornstarch to thicken it up. This meal should keep in the fridge for a week.